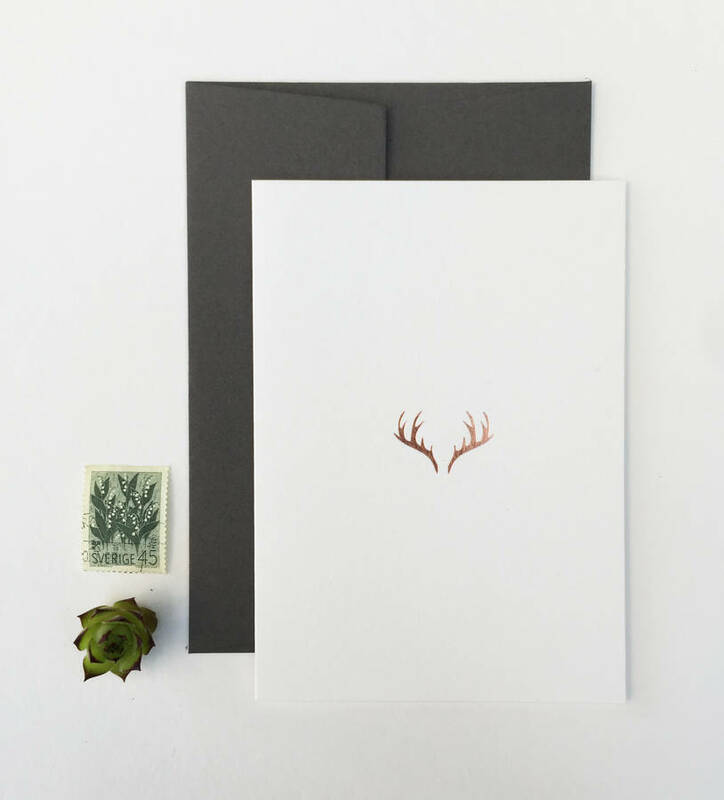 A luxury greetings card featuring an elegant rose gold foiled antler. 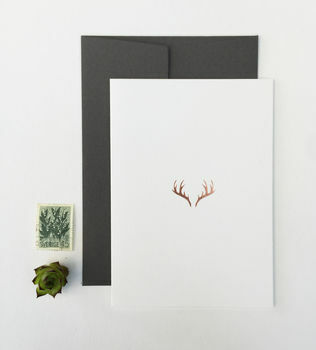 Our greetings cards come with corresponding, heavy-weight grey envelopes and are packaged in a clear box. The perfect modern, timeless and elegant christmas cards for you and your loved ones. The front of the cards feature our designs only and are blank inside for your own personal message. The reverse features our logo, also in rose gold foil.